and treatment of competing promotions proved trickier than I expected but rewarding. 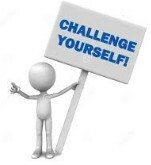 See All Challenges and submit new ones to decisionmanagementcommunity@gmail.com. This entry was posted in Challenges, Decision Models. Bookmark the permalink.